Beyond the natural draw of the 40-plus yachts and boats on display in Cannes Old Port, not to mention the helicopters and motorcycles alongside, there are dozens of interesting companies on show, each with a fascinating story to tell. The organisers of Cannes Collection have curated a collective of brands that go beyond 'luxury', offering buyers a chance to access a mixture of craftsmanship that cannot be found together anywhere else. Here is a snapshot of a selection of the companies at Cannes Collection 2016. The lampshades of Régis de Saintdo (below left) are handcrafted in quartz and ceramic. 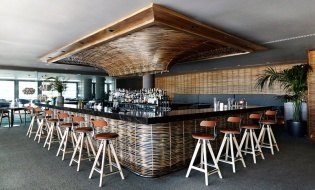 They assimilate into a range of interior styles, from minimalist to Indonesian-insipired, and are both practical as well as beautiful. The 'table art' of Agnes Sandahl (on show with Galerie Sassi Milici, below right) can be found at dining tables around the world belonging to royalty and celebrated chefs such as Joel Robuchon. They are surely a talking point for any dinner conversation, as each is handmade and uniquely gilt. 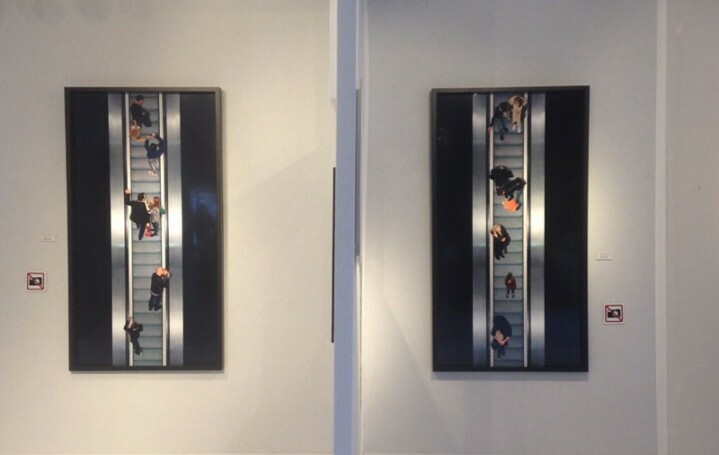 The photography of Mathieu Walter (below left) draws upon the artistic interpretation of everyday life and places it in unusual perspectives and situations, which he then renders into unexpected sizes. He has brought with him to Cannes Collection a new series, Tout un Monde. Local Vallauris-based Galerie Sassi Milici has brought a varied and interesting collection of works from a range of international artists, such as Stephan Szceszny, Erick Ofergan and Pierre Boncompain as well as Capron, Bonnet and Guizol. 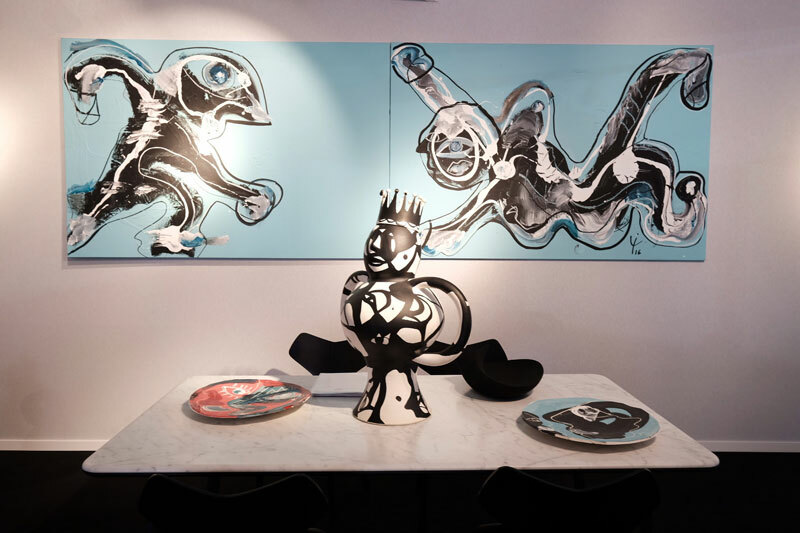 The gallery specialises in one-of-a-kind objets d’art lamps, suspensions and ceramic sculptures as well as very rare vintage furniture. There are a number of watch and clock specialists at the show, including the quizzical clocks of L'Epée, swiss watchmaker Parmigiani Fleurier and vintage watch expert Romain Rea. 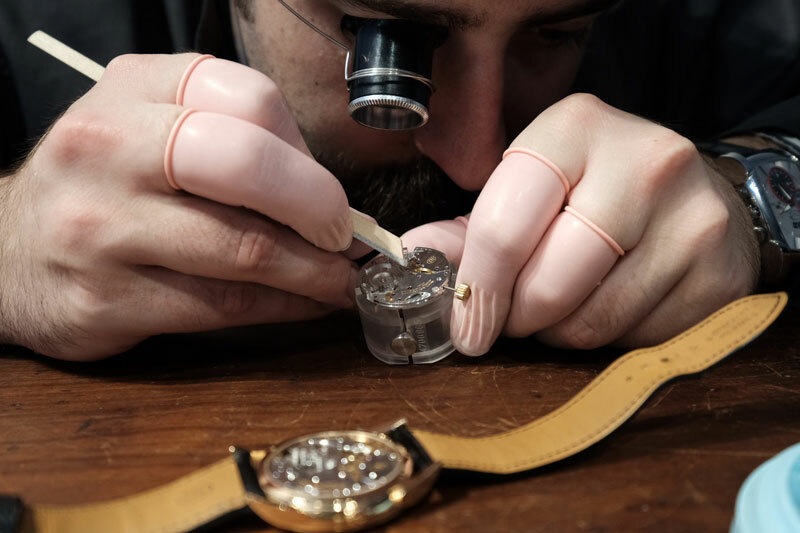 Parmigiani Fleurier has an expert watchmaker and restorer on site (below left), carrying out restoration and reassembly work to a Tona 1950, named for the birth-year of founder Michel Parmigianni. 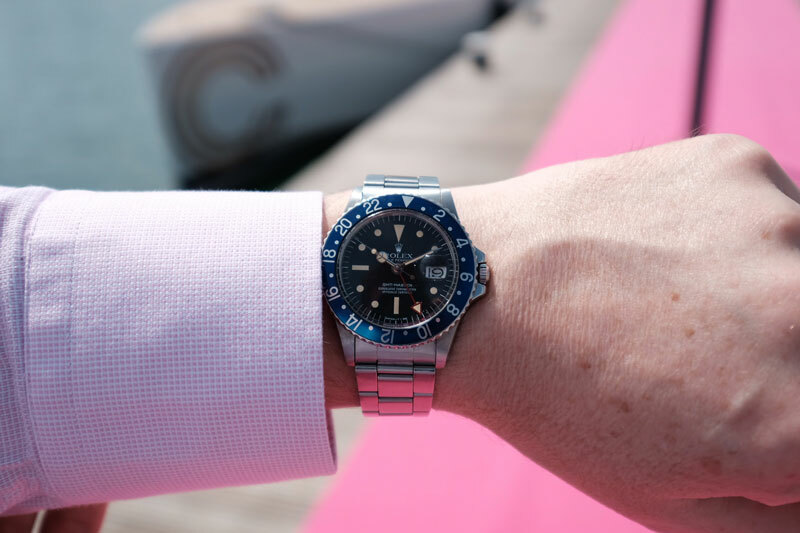 Romain Rea has brought an exceptional collection of vintage watches for those who like a bit of history with their timepieces, including a rare Rolex Paul Newman model. 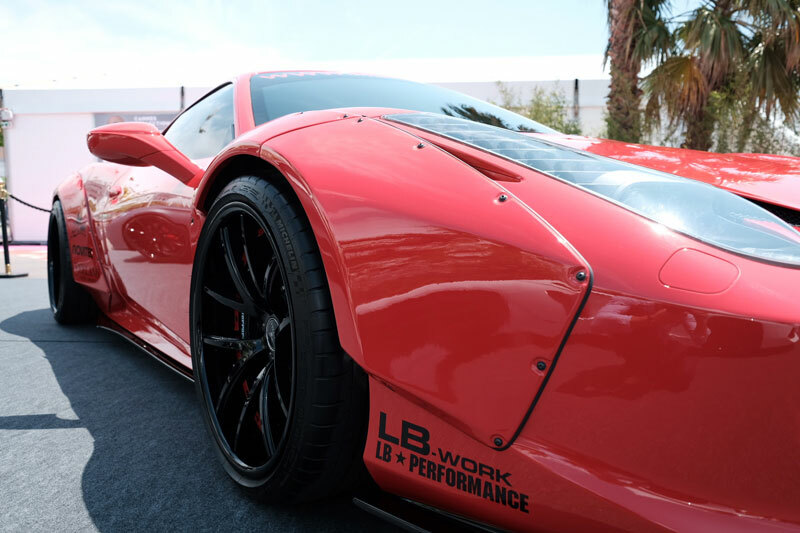 The impressive line-up of luxury automobiles at Cannes Collection is one of the areas that has generated the most buzz over the past two days. Unsurprising, as the 24 cars on display represent all of the most recognised and coveted names in the industry - including Lotus, Aston Martin, Ferrari, Porsche, Mercedes, and Maserati. The show is also highlighting some slightly lesser known luxury names such as Tesla and Koenigsegg, two of the modern pioneers in green technology. Not to be missed are the Koenigsegg Agera R, a totally unique machine that was in production between 2011 and 2014 and of which there are only 18 in existence. The hybrid BMW i8 has also turned many heads, as well as the much anticipated Lamborghini Huracan, part of the series orginially released in 2014 and inspired by a famous fighting bull of the late 1800s. The cars are represented by local dealers as well as some of the companies themselves, and many are available for a test drive. If you haven't yet made your way over for a browse, the growl of the motors heard across Cannes Collection will show you the way.